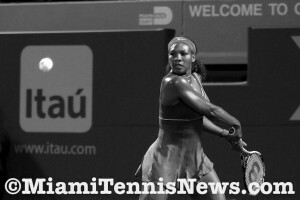 An unstoppable Serena Williams dismantled defending champion Agnieszka Radwanska 6-0, 6-3 to secure her eighth appearance in the final at the Sony Open and with her 60th victory moved past Steffi Graff as the winningest female in Miami. 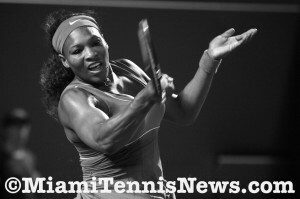 The world number one came out with her guns blazing. The crowd had barely taken its seat when Williams posted a double break edge on the scoreboard.